Zip lining is arguably one of those recreational activities, such as rock climbing or mountain biking or snow skiing, that by their very nature present some sort of risk of an accident or injury. Defendants will often argue the “assumption of risk” doctrine, meaning they assumed the inherent risk when they chose to do that activity anyway. Such assertions can be especially bolstered if the claimant signed a waiver of liability. Such waivers don’t completely shield defendants from liability (particularly for gross negligence), but they can be useful for the defense. However, in the case of this Honduran-based excursion, the numerous federal lawsuits indicate a pattern of problems that went beyond what one might assume while zip lining. Rather, the allegations are that this particular zip lining excursion was especially dangerous – even for zip lining – and that Royal Caribbean knew about it yet failed to protect future guests from being hurt either by terminating their contract with the zip lining company or warning guests of the potential dangers or prior accidents. On New Year’s Day 2014, a Texas woman reported 15 people were trapped and injured on the zip line when guides failed to communicate with each other to stop more people from being sent down the line after an 11-year-old child got stuck. Group after group crashed into each other. Those on the line were trapped there for 30 minutes, suspended at the highest point, even as the cable began to sag. Guests suffered broken rips, bloody lips and other injuries. Later that year, a woman reported to the cruise line she and her husband were on the zip line, unable to stop and struck the platform at the other end with a high rate of speed. A month after that incident, another guest informed the cruise line she and her daughter were injured when the brake on the line failed, causing her to crash into the platform. In 2015, a man and his family were injured on the zip line after the guides reportedly allowed too many guests on it at once, allegedly without communicating with one another. He, his wife and son were injured first when they slammed into the three people in front of them and then again after three more people crashed into them from behind. That same year, a 59-year-old woman suffered serious leg injuries that exposed her shinbone and had to undergo emergency surgery in Honduras after crashing into a platform that was not padded. She was later flown to a trauma hospital in Texas, and continues to suffer scars and disability. 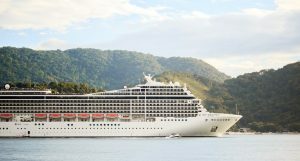 The tour guides reported back to the cruise line that these injuries were all the result of rider error, mainly because riders weren’t following guide-issued instructions. Then this summer, the honeymooning couple decided to take the excursion, neither receiving any warning of potential danger from the cruise line or the zip line company. The pair crashed into each other, the impact killing the 24-year-old groom and seriously injuring his 27-year-old bride. The latter is now pursuing wrongful death and personal injury lawsuits against both the cruise line and the contractor, seeking $1 million or more in damages. Zip lining is generally considered a relatively safe activity, but it has been known to result in injury, which is why it’s imperative that operators follow all proper safety protocol in harnessing and operation. Earlier this year, a jury in Oregon awarded $315,000 to a 20-year-old woman who was just 17 when a seriously injured in an accident at a friend’s house on a homemade zip line lacking key safety features (seat and harness). She suffered two broken wrists and five broken vertebrae when she fell, according to The Oregonian. If you are injured in a Florida zip line accident – or any incident while a guest on a cruise ship – contact our experienced Miami tourist injury lawyers.